I met Nena Barlow in the ponderosa pine-clad mountains halfway between Sedona and Prescott, Arizona. 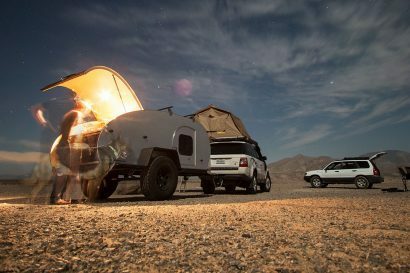 Nena is a 4WD trainer and the owner of Barlow Adventures, a company that offers off-pavement experiences in the American Southwest. 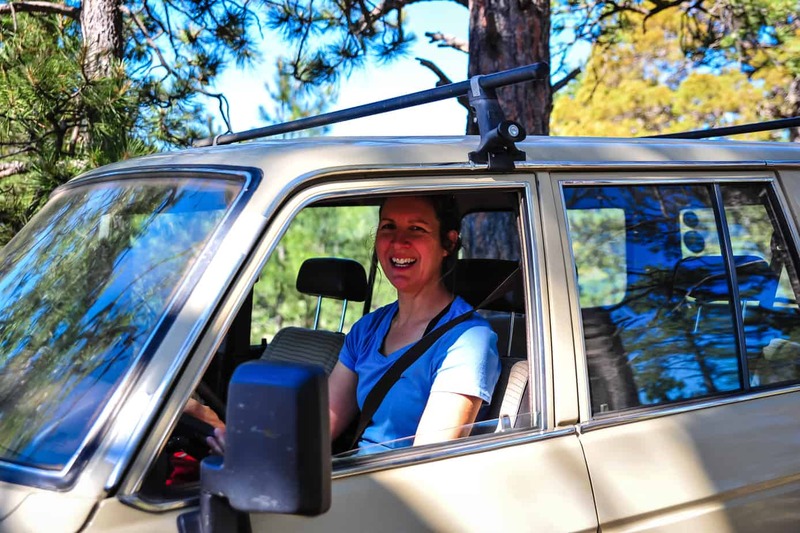 As a certified Leave No Trace instructor, she also knows everything and a bit more about environmentally responsible driving. 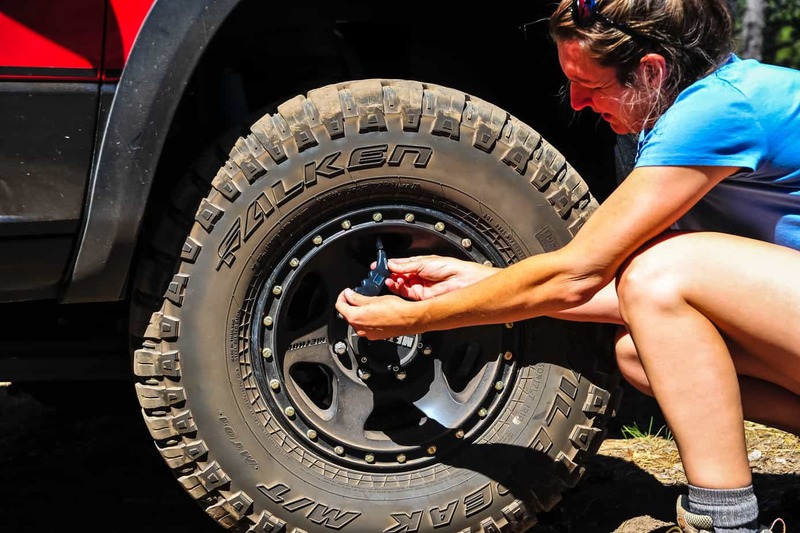 First, Nena deflates the air pressure from her truck’s tires until they get a bit of a bulge, perhaps the most important action to take when leaving a maintained road. “It does several things for us. 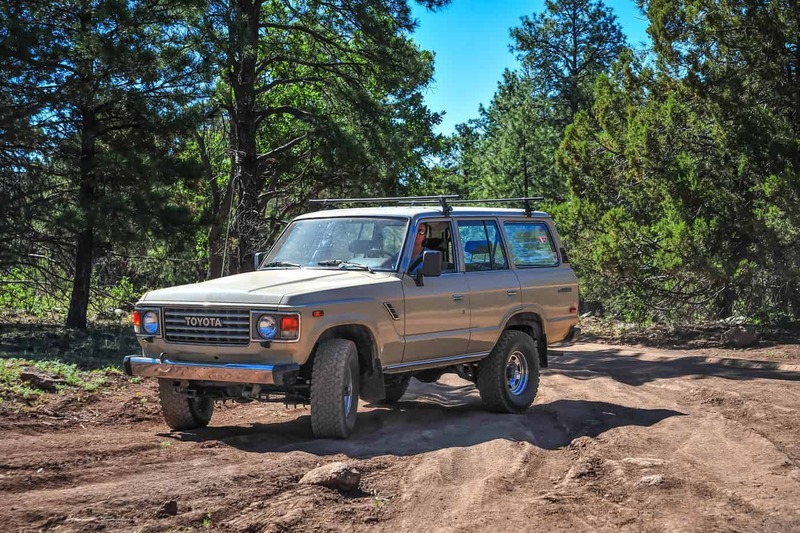 It spreads out our weight on the ground and increases traction, so we are less likely to sink into or break tracks in the soft stuff, decreasing the chance of spinning tires or getting stuck,” Nena explains. Deflating the air pressure not only increases the vehicle’s capability, it reduces our environmental impact. The forest around us bears the marks of a popular recreation area: scattered fire rings, some broken beer bottles, and deep ruts webbed across the ground. Land is fragile, so Nena urges people not to travel on muddy trails if they can avoid it, as the resulting ruts will remain for a very long time and can make some areas impassable. 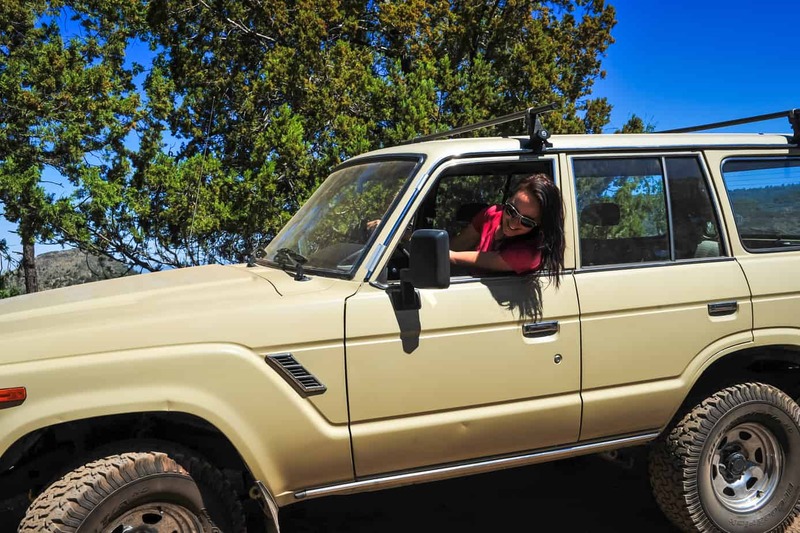 Vegetation may also be damaged if you leave the established trail or go haywire with the wheels spinning. It all boils down to observing the laws of outdoor etiquette. 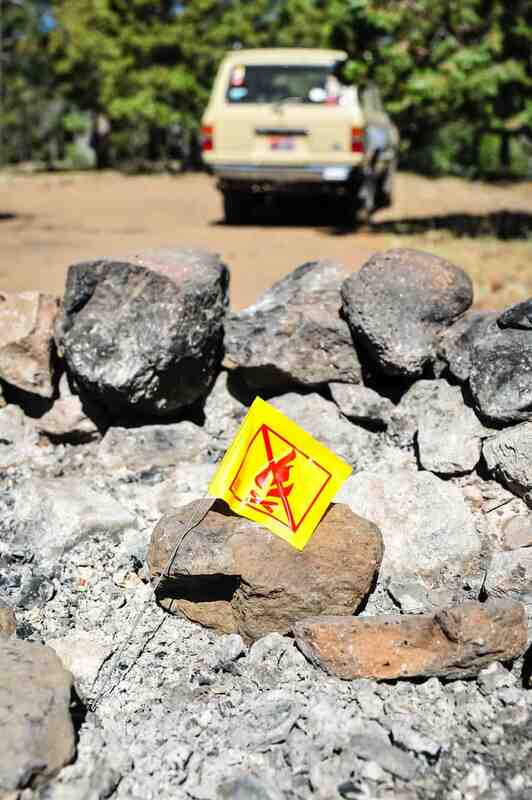 “Tread Lightly and Leave No Trace ethics are what we encourage everybody to follow,” Nena says. In a nutshell, Tread Lightly advocates that you travel responsibly and stay on the trail, respect the rights of fellow recreationists, avoid sensitive areas, and do your part by modeling appropriate behavior—for example, by leaving a place better than you found it. Before hitting the trails, travelers should check weather conditions and local regulations (such as fire and camping restrictions), as encouraged by the first of the Leave No Trace principles: plan ahead and prepare. Other important fundamentals are to travel and camp on durable surfaces, dispose of waste properly, leave what you find, minimize campfire impacts, and respect wildlife. 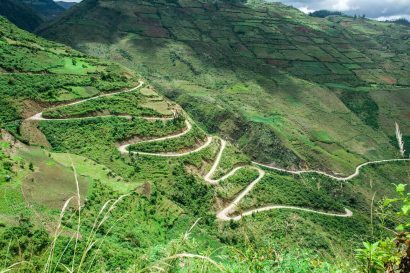 Nena’s last wish is for people to exercise more courtesy toward fellow travelers by giving priority to those driving uphill, allowing enough space to pass, and perhaps the biggest challenge, to not be afraid of others. “People come here to connect with nature, and few people are out here, so connect with them too. They are not serial killers. But that’s how we act. We’ve seen too many horror movies,” Nena says, and laughs.